More and more farmers began raising turkeys commercially in the area. Within 25 years (1952) there were 70 turkey producers raising 500,000 birds within 10 miles of Ellsworth. Today there are about 3 million turkeys raised in the Ellsworth area. 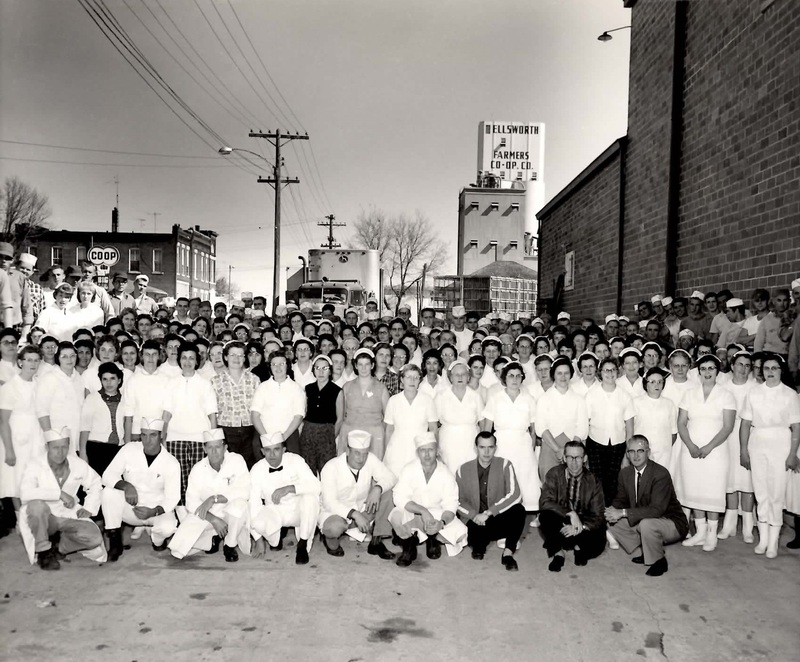 In 1945, the Central Cooperative Turkey Producers Association was formed and a new processing plant built. The location of the new plant was immediately west of the Thompson Hatchery building with track facilities on the Chicago & North Western Railway. The new industry processed turkeys for the market - buying them live from the raisers and putting them through the plant to be killed, drawn, packed and shipped to the city markets. 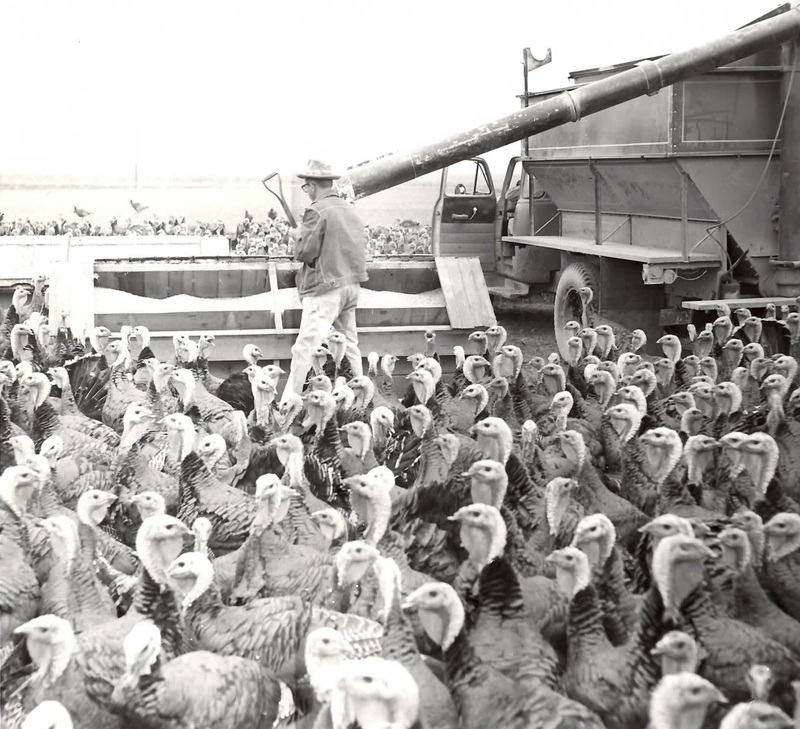 There were approximately 150,000 turkeys in the vicinity in 1945. 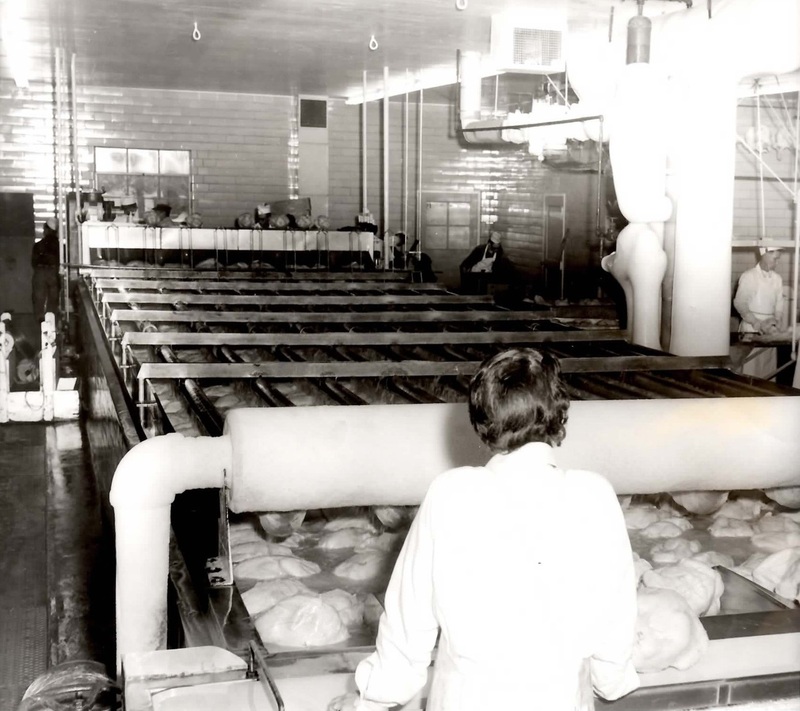 At this time, it was judged the plant would employ from twenty to forty persons depending upon the number of live turkeys delivered to the plant. 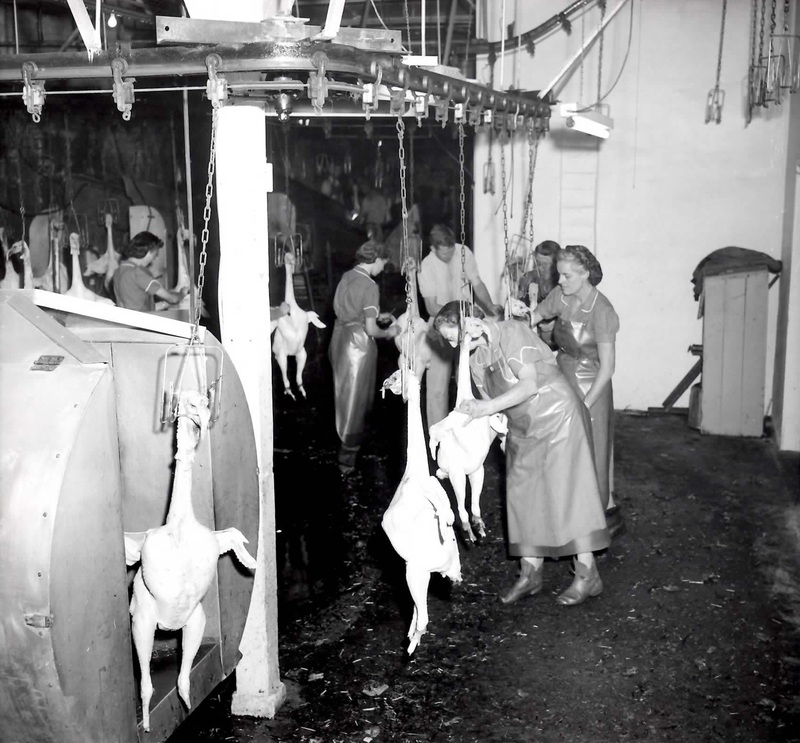 By 1952, the annual output was 3,500,000 pounds of turkey. 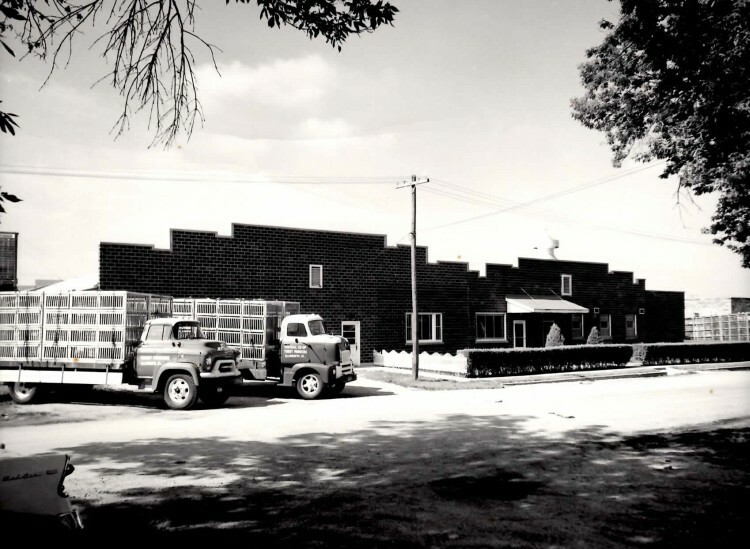 Employment then at the plant was about 80 persons and the cooperative membership was 115 turkey producers. Also, in 1952, an addition was built. 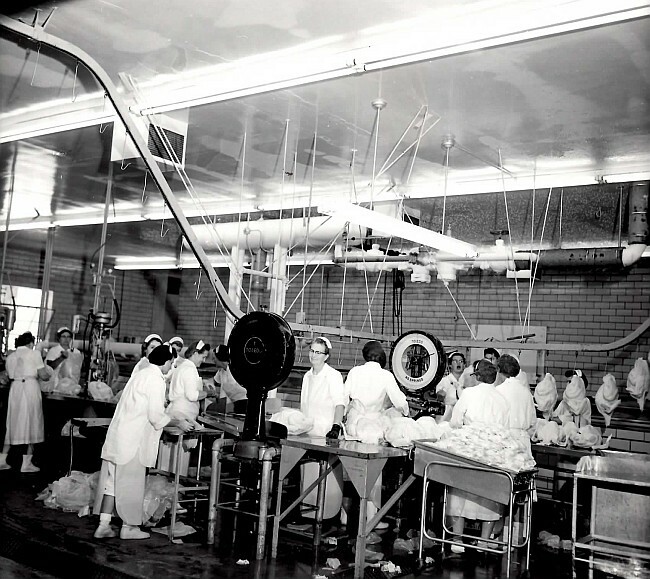 More additions were built in 1957, 1959, 1960 and 1962, when this plant was one of the largest and most modern of its kind in the midwest. The Central Cooperative Turkey Plant was sold in 1968 to Land O'Lakes, Inc. of Minneapolis, who continued to operate in Ellworth until 1989. Many expansions took place in the plant over the years. 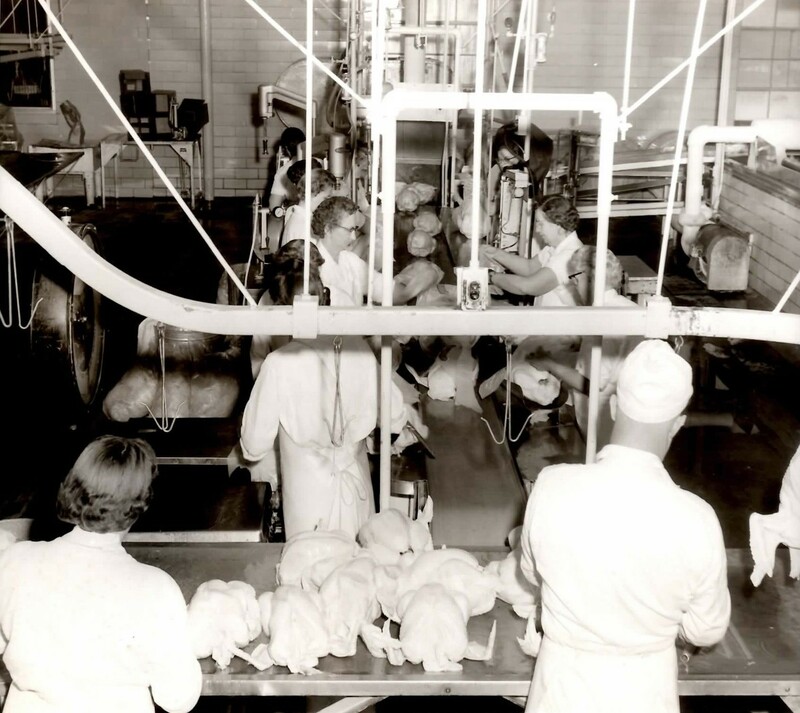 At the height of the operation, 180-270 employees were hired with an annual payroll of around $1,000,000 annually. That did not include management and the office staff. From this self-proclaimed turkey capital of the world, comes a strange sound about this time every year. 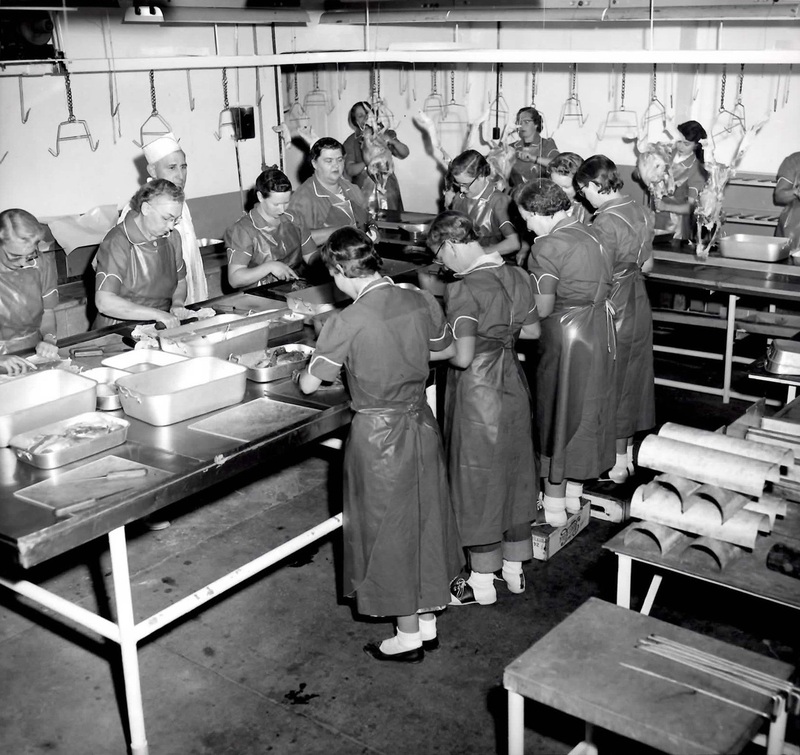 The "gobble gobble" is from a million and a half turkeys being processed for the Thanksgiving and Christmas dinner tables of the nation. 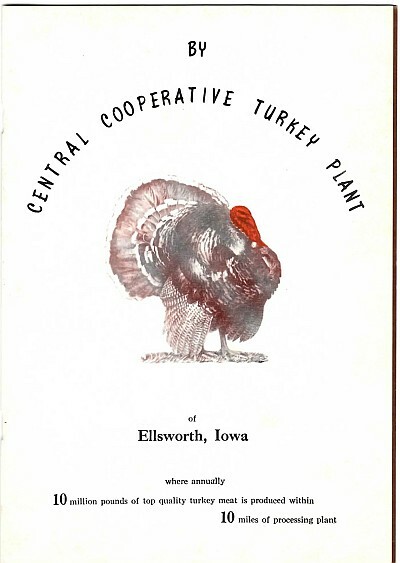 Fields near this central Iowa community are black with turkeys, Ellsworth (population 493) is hiring more than 250 persons in the cooperative processing plant.